There are no places available for this date. Please select a date for booking! Don't want to create an account or login through facebook? No problem, Please continue booking. *Please add the names of all attendees including yourself to the guest list. This guest list summarizes all the guests joining this event. Please fill in your details and click "add to guest list". For more attendees, please fill in the other guest details and add to the list as well. Your referral earnings are 0 USD. Would you like to use these earnings for this booking? 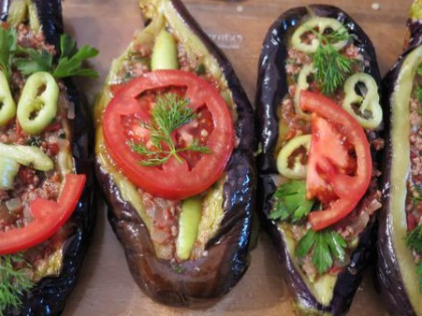 The Istanbul street food tour will take you on a culinary adventure to discover Istanbul's diverse eats you will also explore the colorful Kad?köy market on Asian side of Istanbul also allowing you a glimpse into the daily lives of Istanbulites. You will also have a chance to taste some of Istanbul's popular street food during your tour. What is our Referral Program? With the Tastecapade Referral Program, you can earn dollar points to use in any of your Tastecapades by simply inviting friends to join and book. Every friend who books a tour gets 5$ off on their booking, and you also get 5$ towards your Tastecapade dollars. If 5 friends you recommend book, you will have 25$ to use on your next booking (1 Tastecapade dollar= 1 USD). It’s that easy! Click GO and start saving! There is no limit to how many friends can be referred in this program. How do I manage my points? Simply go to the referrals tab in your profile to monitor how many dollar points you have gained. Congratulations for winning USD 5! We highly recommend to update your password to avail the $5 and manage your bookings in future! Please note this tour is not suitable for . If you still want to book, then proceed. Upon booking this tour, we will be checking availability with the tour organizers. The total amount of this booking will be put on hold against your card by the bank, but you will only be charged upon confirmation. Dear User, your guest list reaches the limit of seats available for this date. You can not add more guests. Dear User, Please add the details of the guests to the guest list to finalize booking. Dear User, you selected to invite guest(s) on the tour, but you filled the details for . Click 'Continue' to finalize booking with only guest(s) or 'Add More' to the list. Get to know your guide! The tour is not available for this date, search another date instead? You better login, as you are an already registered user. In case you forgot your password, please proceed to recover your password, or provide another email in guest list. Yes, I forgot my password! Dear , we recommend you set up a password to view and manage your bookings easily in the future. Please note that this tour requires at least 2 people to activate, in case this tour does not reach the minimum capacity 24 hours before the tour, we will inform you and offer you a full refund. Come Hungry on this tour! Tastecapade.com is a food tour and cooking class booking website for day activities around the world. Copyright © TASTECAPADE. All Rights Reserved.